UC San Diego Health has opened a state-of-the-art unit specialized in treating seniors requiring emergency health care. 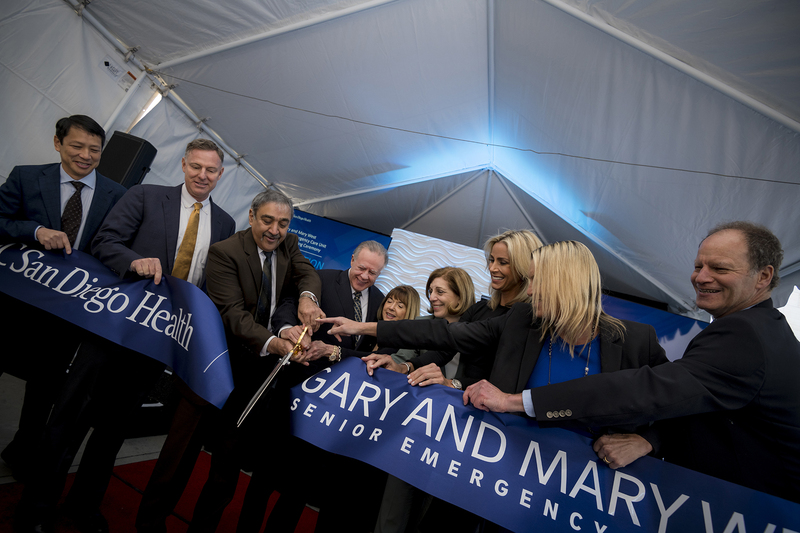 The Gary and Mary West Emergency Department at UC San Diego Health in La Jolla is the first in California to treat qualifying patients over the age of 65 in a dedicated space customized for geriatric emergency care. Three years ago, philanthropists Gary and Mary West provided $11.8 million to UC San Diego to create the senior emergency care unit, which is housed within the Emergency Department at the Jacobs Medical Center. It is one of eight emergency departments in nation to receive accreditation, and the first in California. In honor of their generosity, Council President Pro Tem Barbara Bry presented the Wests with a Proclamation from the City of San Diego for sparking and advancing innovation in health care, supporting research and making the local community and nation better. Feb. 19, 2019 was named Gary and Mary West Day in the City of San Diego.